When Salai is taken on as an assistant to Leonardo DaVinci, he becomes part of a three-way friendship which also includes Duchess Beatrice d'Este whose plainness keeps her in the shadow of her beautiful sister, Duchess Isabella. It is through this connection, born of DaVinci's eye for the inconspicuous, that the creation of the famous Mona Lisa comes to be. Konigsburg is one of my favorite children's authors because her books cover such a wide range of topics and styles. This book, though completely unlike any of her others, is thoroughly engrossing and completely believable. The personalities she lends to the historical figures who populate the story suit their known actions and provide plausible explanations for what is not known. DaVinci, especially, comes to life as a fully realized and interesting human being. Certainly even if Konigsburg's portrayal is not completely accurate, it will inspire young readers to seek out DaVinci's biography. While the question that drives this book - why did an artist in such high demand agree to paint a merchant's second wife? - provides a definite puzzle, this book is not a mystery in the traditional sense. There are no real clues to piece together, and the ending, while fitting, is not something the reader can guess or predict. 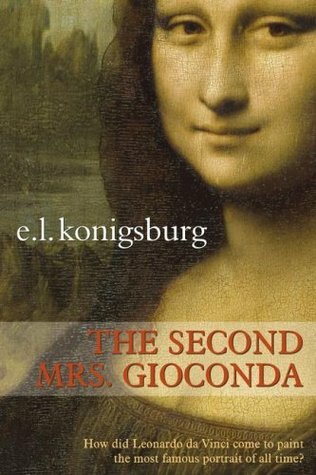 Also, unlike other historical novels I've been reading for this project, The Second Mrs. Gioconda would not work as a child's first introduction to DaVinci, the Renaissance, or the Mona Lisa. Rather, this is a book for readers already somewhat familiar with the time period and its key players, as that knowledge is what allows one to theorize about the Mona Lisa's backstory. As supplemental reading to non fiction texts, however it is an excellent novel highly recommended for grades 6 to 10.